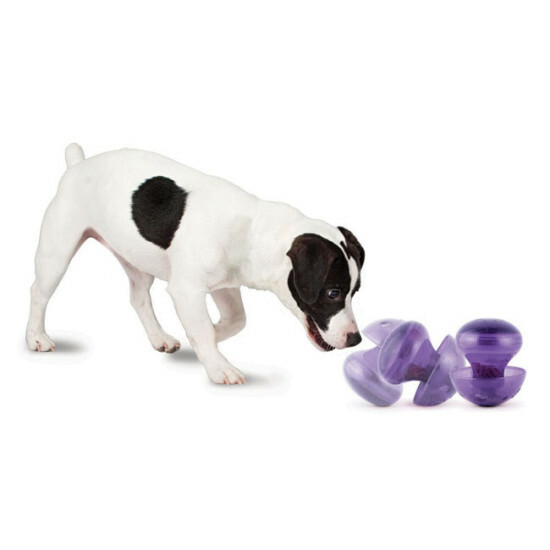 The PetSafe® Busy Buddy® Magic Mushroom™ is a meal-dispensing dog toy that can be used instead of a traditional food bowl to slow fast eaters and help support weight management efforts. 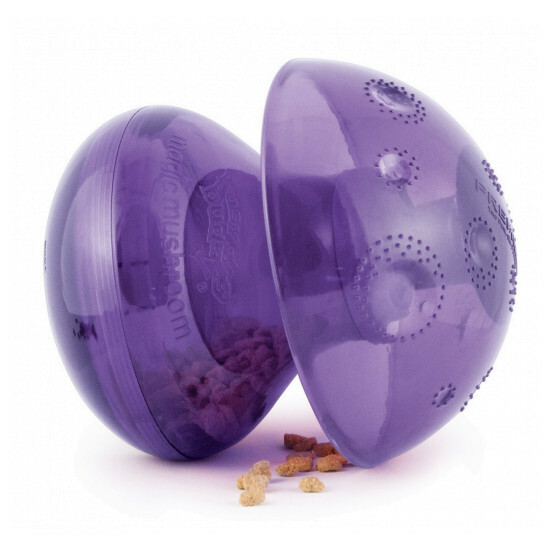 The base of the mushroom twists off to easily load or remove kibble and treats. 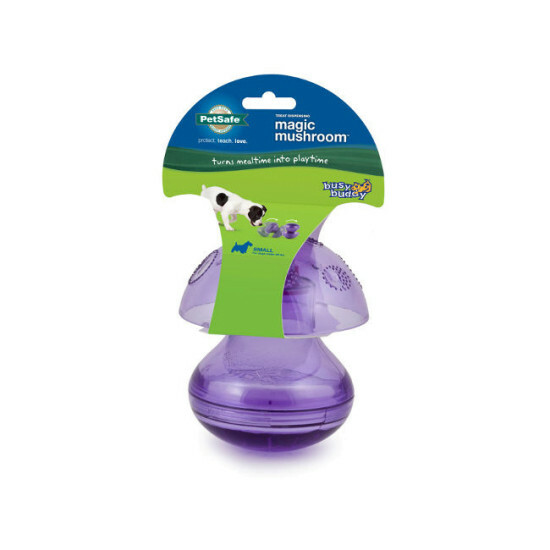 Open the windows wide under the mushroom cap for faster dispensing, or close more tightly for more of a challenge. Works with a wide variety of food options. Not a chew toy. Dishwasher safe, top rack only. 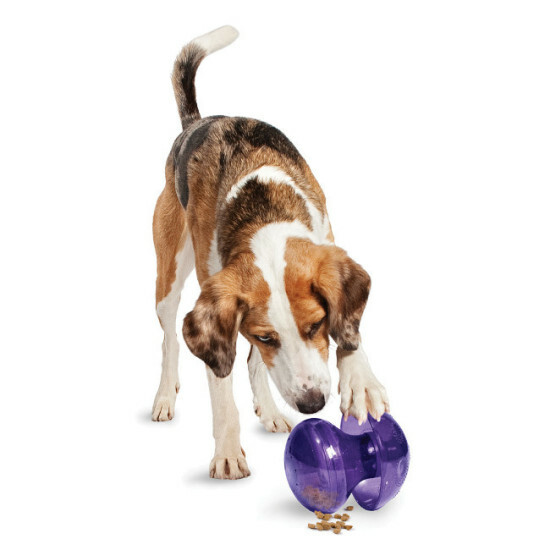 To use, twist off the mushroom base to load with kibble or treats. Replace the base and twist off the mushroom cap to adjust the customizable treat windows. Replace the cap and let the fun begin! Over time, as your dog gets accustomed to the Magic Mushroom, you can close the treat windows more tightly to increase the challenge.